Smartpens are a very useful assistive technology developed by Livescribe. Smartpens can be used in many settings including lectures, meetings, presentations, etc. The pen can be used to take notes in class while recording the lecture. The audio is synced with the notes as they’re being written. The user can tap note with their pen to hear the audio that corresponds to that section of notes. The synced audio and notes can be transferred to either a computer or tablet depending on the type of smartpen being used. Here the user can listen to the audio by section, sort and save notes, and search for specific words in the handwritten notes. What type of smartpens does CSDTech offer? CSDTech offers two different types of smartpens to students who are approved for notetaking accommodations. The Echo smartpen and the Livescribe 3 smartpen. 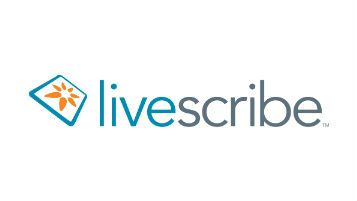 The biggest difference between the two pens is that the Echo smartpen can be synced to a computer while the Livescribe 3 smartpen utilizes an app, Livescribe+, on a iOS or Android device. Both pens allow for the playback feature of the notes making it quick and easy to review parts of the lecture that the user feels is necessary. Why should I use a smartpen? Smartpens promote independence for our student population as they can take their own notes in class and have an audio recording of the entire lecture that are synced together. Smartpens are not limited to just the classroom and lectures. They can be used in the future when students enter the work force and are required to take their own note’s during meetings and presentations.